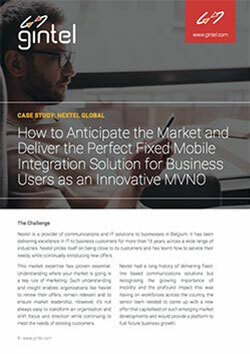 Nextel, a provider of communications and IT solutions to businesses in Belgium, identified an opportunity to capitalise on the emerging mobility trend in the business market and, in partnership with Gintel, launched a new B2B cloud-based offer. 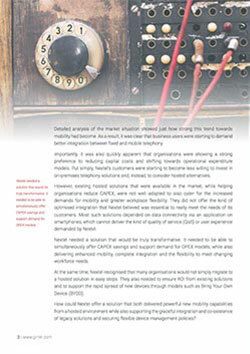 Nextel has secured a cloud-enabled B2B MVNO solution that will enable it to establish clear leadership in the business market. 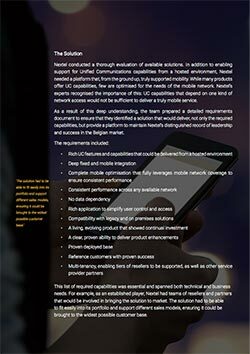 It’s a true mobile platform that has no data dependency and which delivers outstanding fixed mobile integration to businesses throughout Belgium.